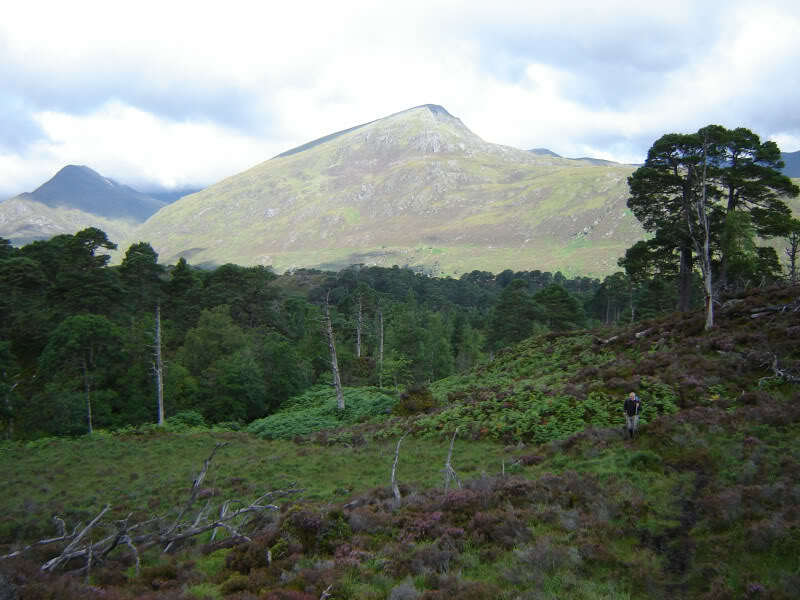 The MWIS weather forecast for yesterday was for rain, followed by showers with low cloud. 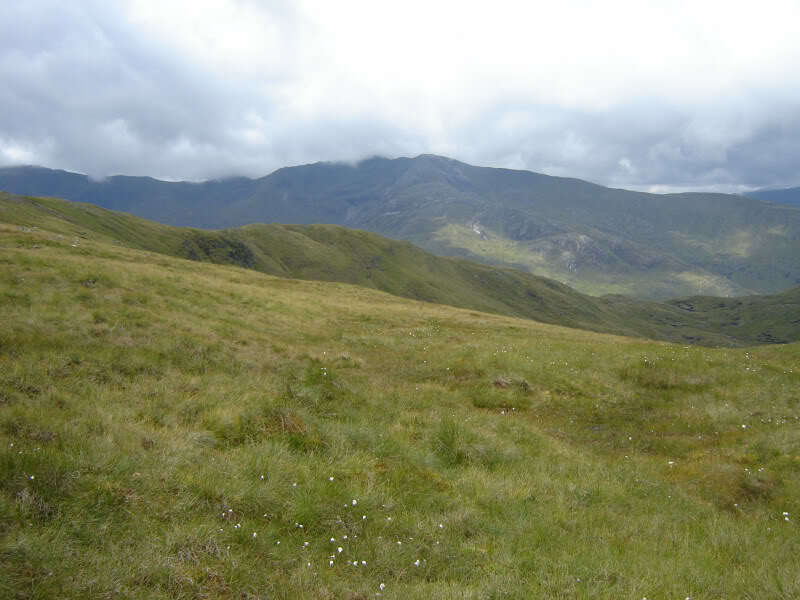 The actual weather was dry all day (not one drop of rain) with cloud above 900m all day. Definitely a pessimistic forecast! I didn’t pay much attention to the SMC guidebook before setting off. 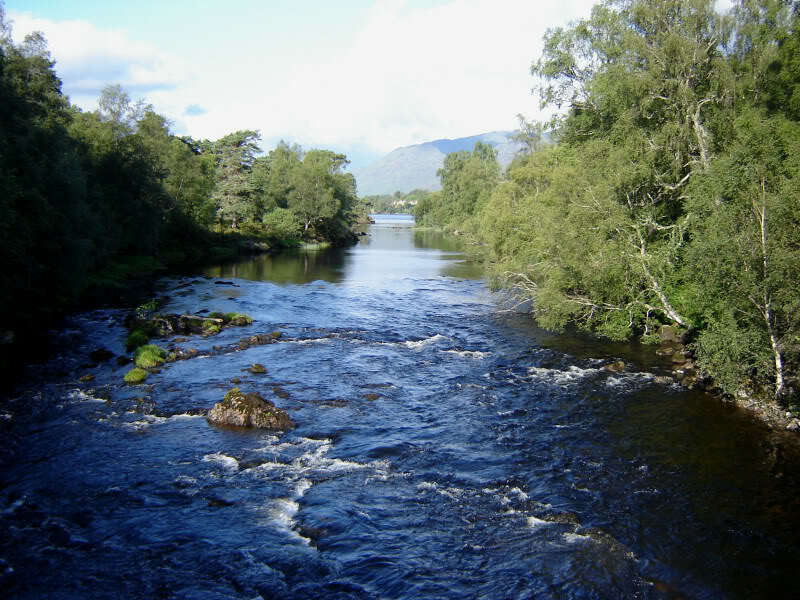 The following route is therefore a bit different in places. We parked at the car park at the end of the public road. 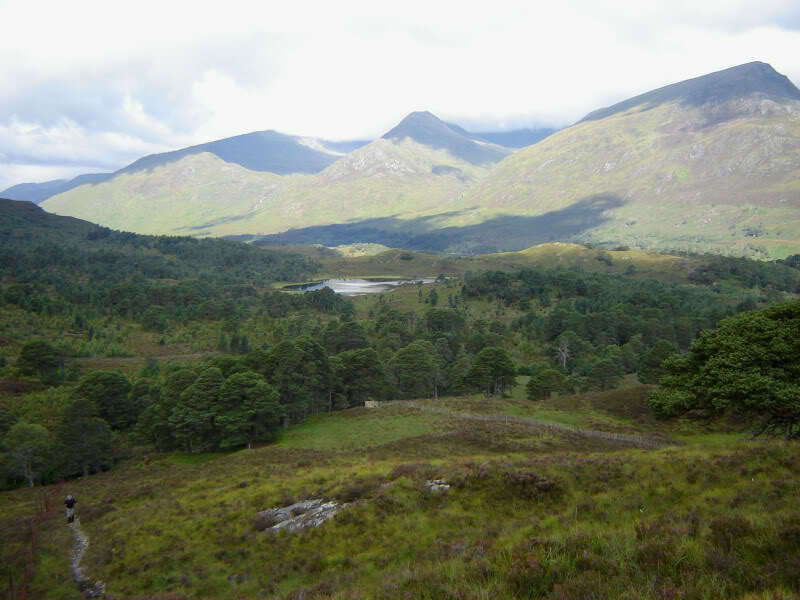 Within a few minutes of setting off, we crossed the bridge leading to the South-side of Loch Affric. 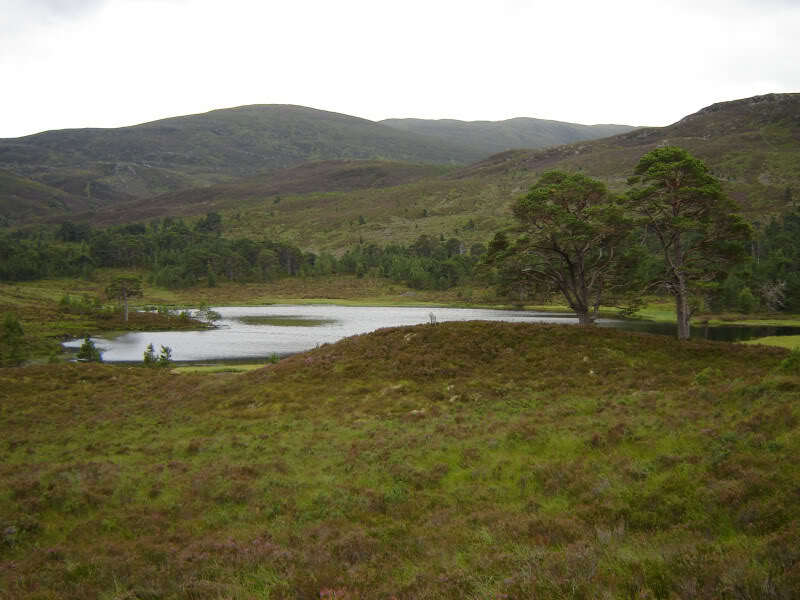 We followed the rough un-surfaced road alongside Loch Affric towards White Cottage. 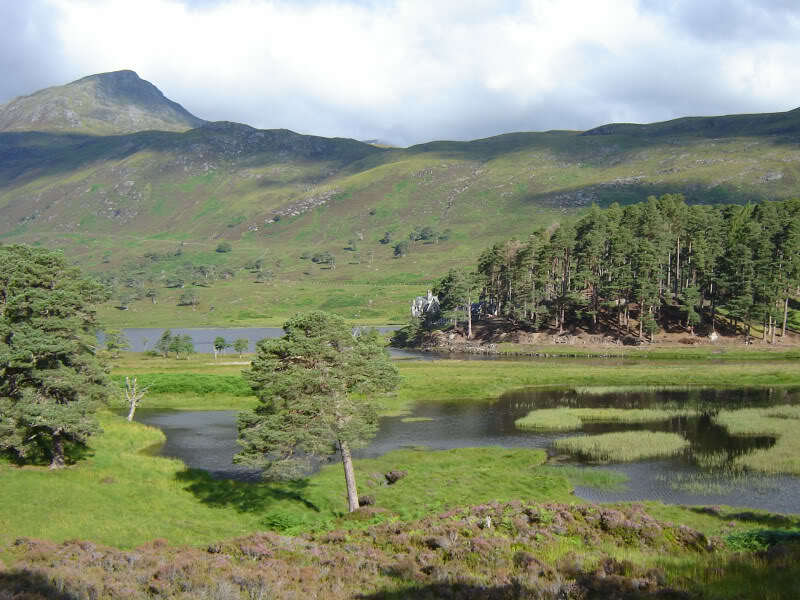 The walk alongside the loch is quite stunning, especially the Scots pine. Approximately one-hundred metres after passing the White Cottage, we left the un-surfaced road and took the public footpath towards Cougie. 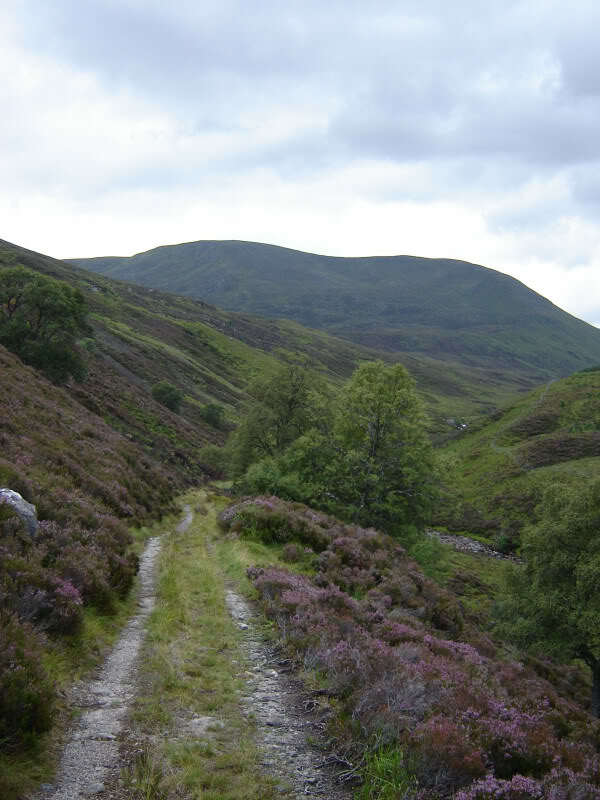 We then followed this path, alongside the Allt Garbh, but stuck to the East-side of the burn the whole way. The map and SMC route suggest crossing over to the West-side. 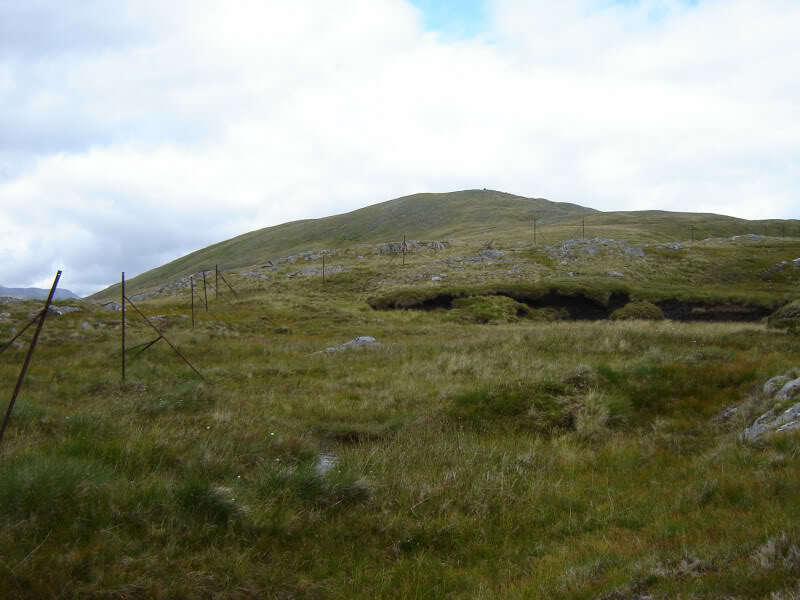 For info, there is also a path on the East-side. 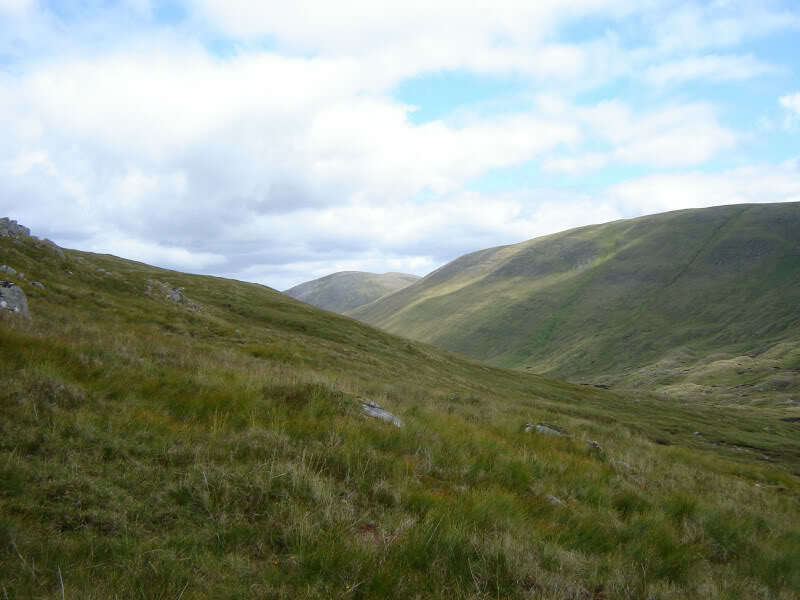 After a kilometre or so we joined the land-rover track leading towards Cougie. 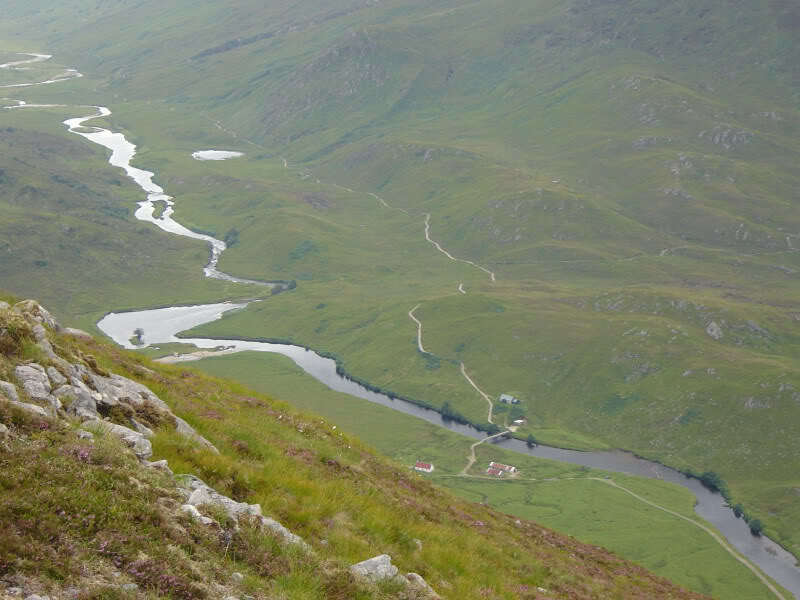 We stuck to this track as far as the small bothy near Loch an Sguid. 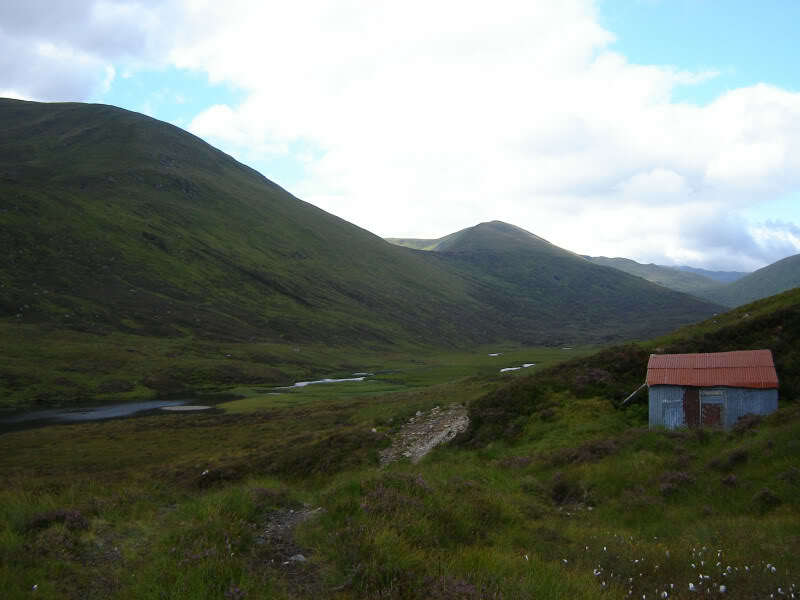 The SMC book suggests leaving the track before the bothy. We thought it better to make use of the track as far as possible. 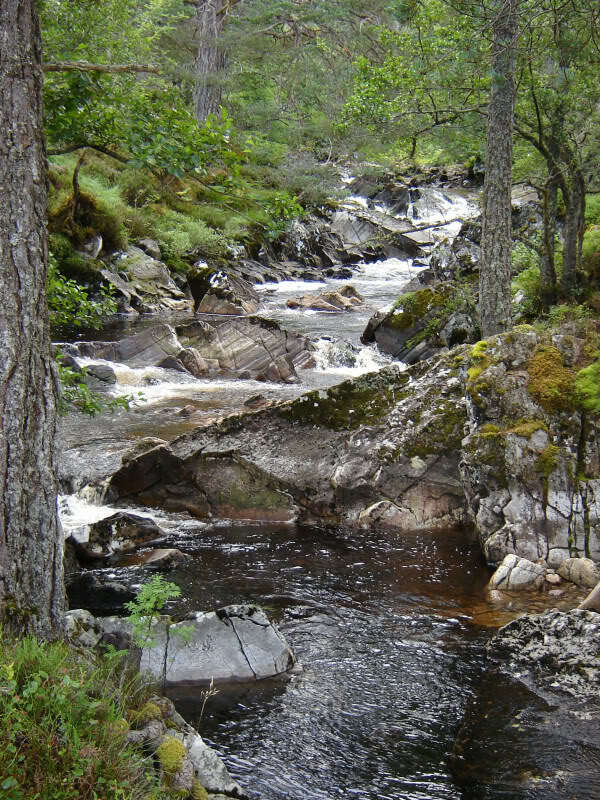 On reaching the small bothy, we crossed the Allt Garbh near the outflow from Loch an Sguid. 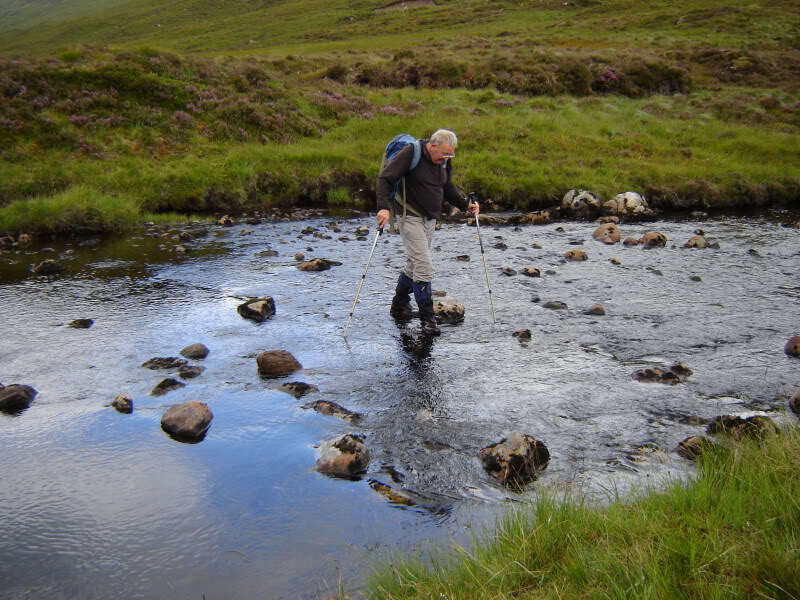 The crossing here is straight-forward - only a few inches deep. 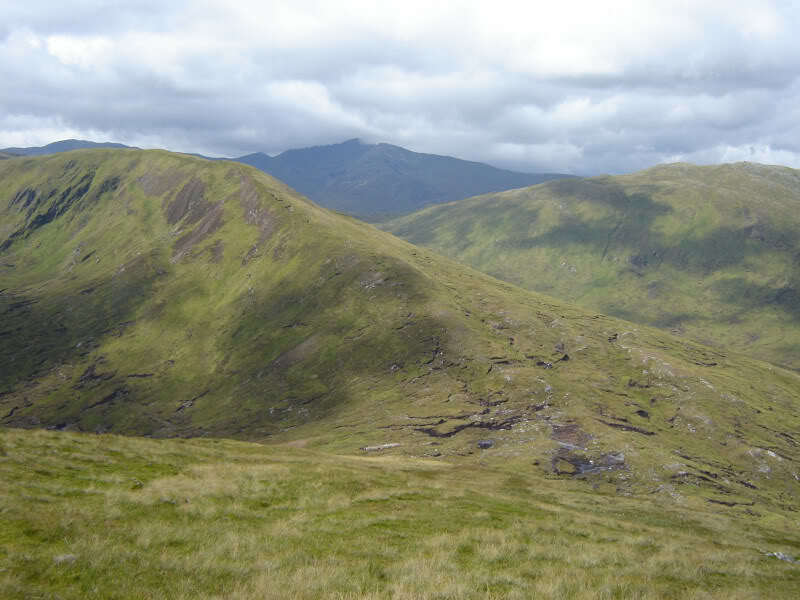 We then began our ascent of Aonach Shasuinn. 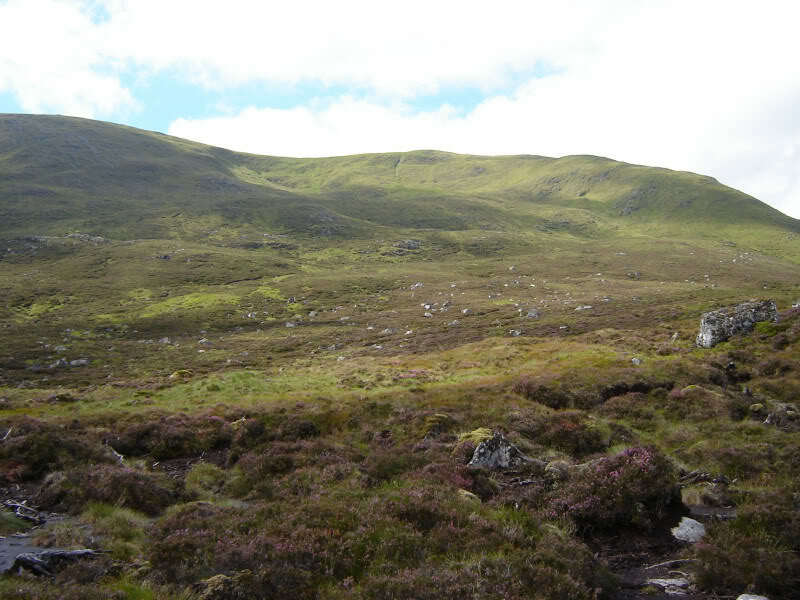 We followed a small ridge with a faint path until reaching peat hags. 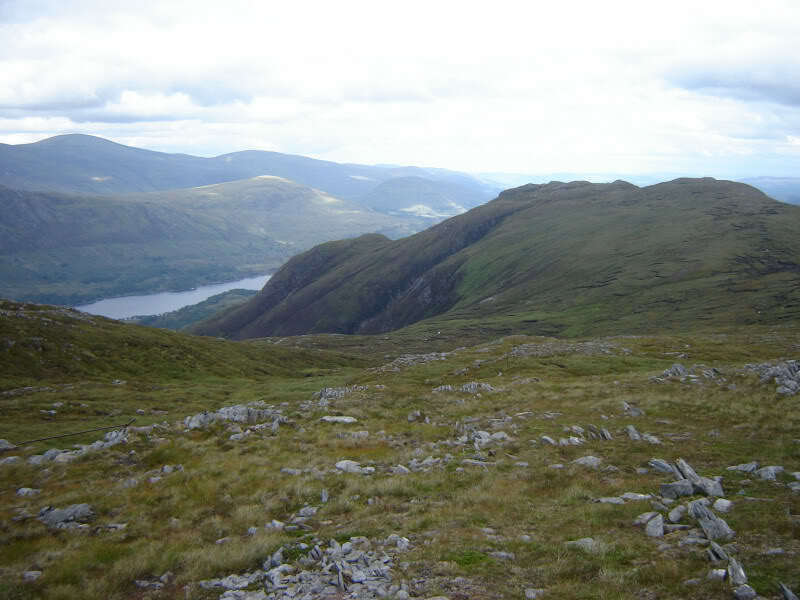 I then opted to head directly for the summit of Aonach Shasuinn instead of ascending via the 873m top. 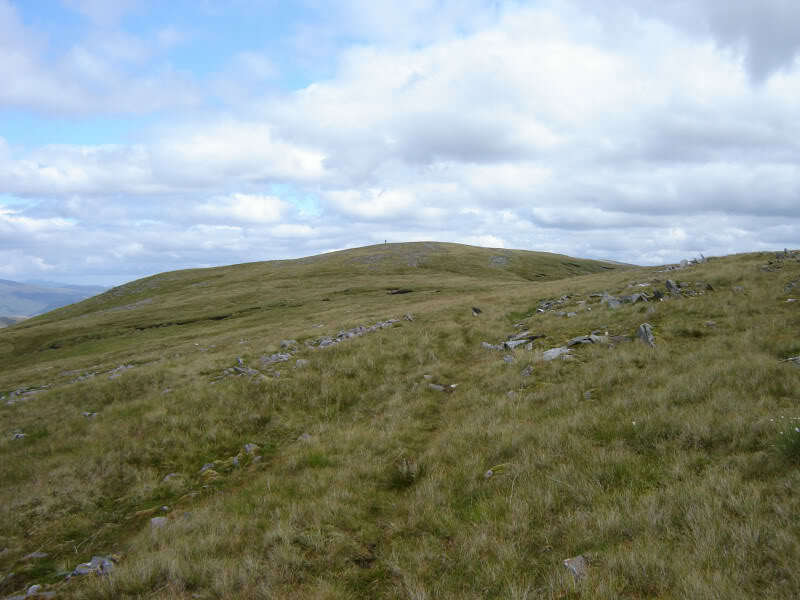 The final couple of hundred metres ascent was quite steep. 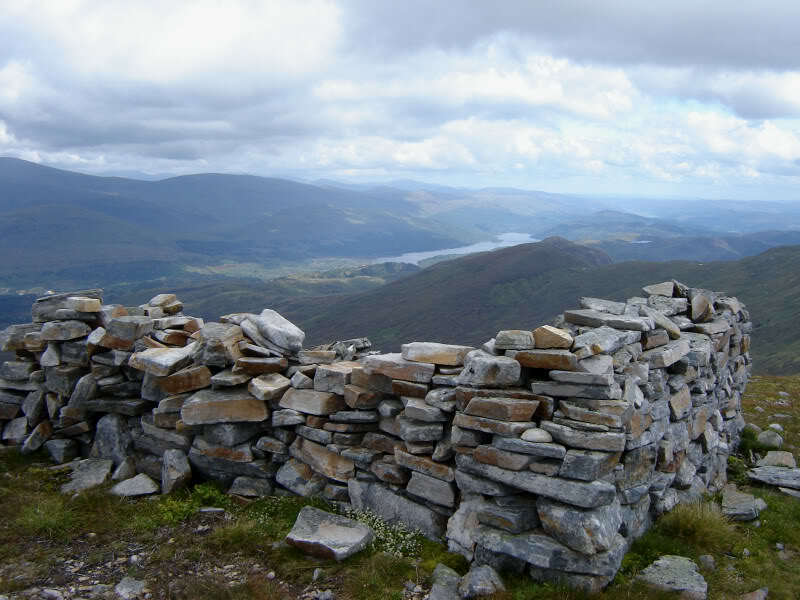 At the summit area there is a large cairn, a small cairn and a stone shelter. I visited all three. 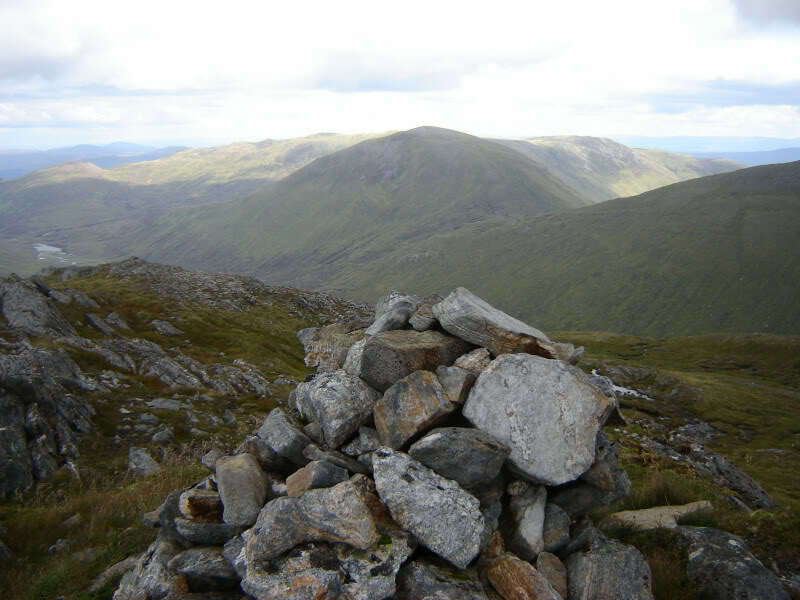 I think the small cairn is the actual summit. After a 30-minute stop at the summit, we headed for the 873m top. 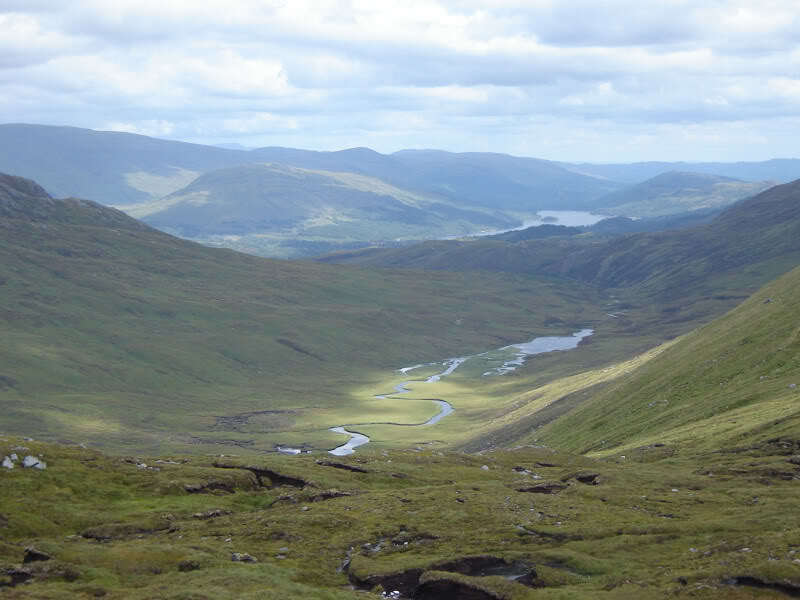 From the 873m top we descended to Bealach an Amais. 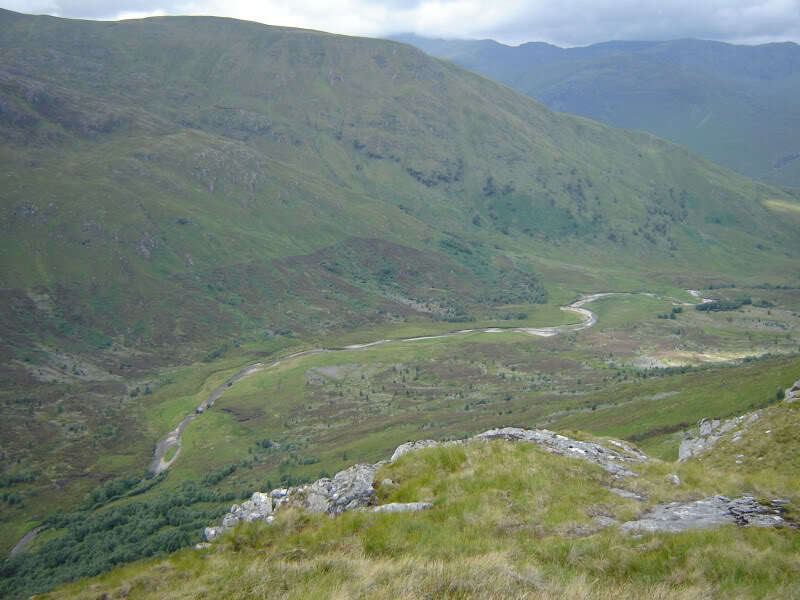 From Bealach an Amais we discussed whether to skirt round An Elric or ascend it. We agreed to ascend An Elric. 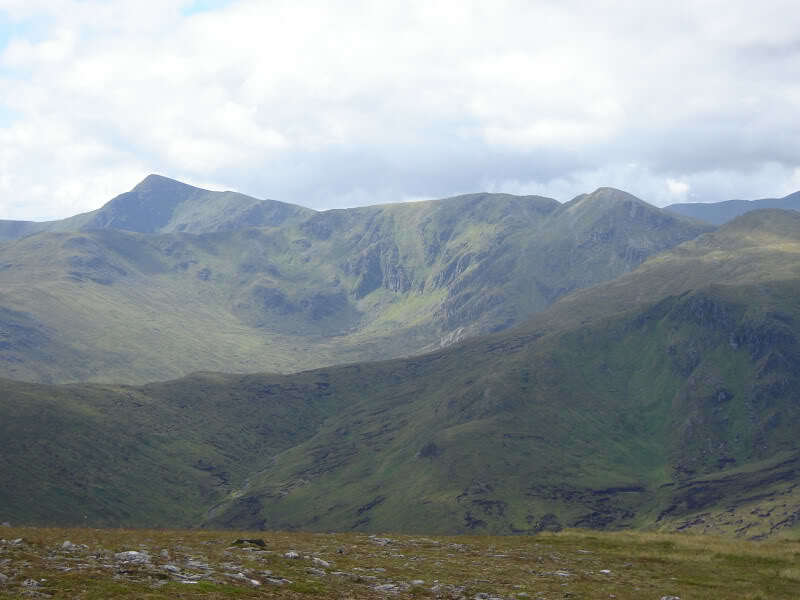 We didn’t stop at the top of An Elric but continued on towards the Carn a Choire Ghuirm ridge. 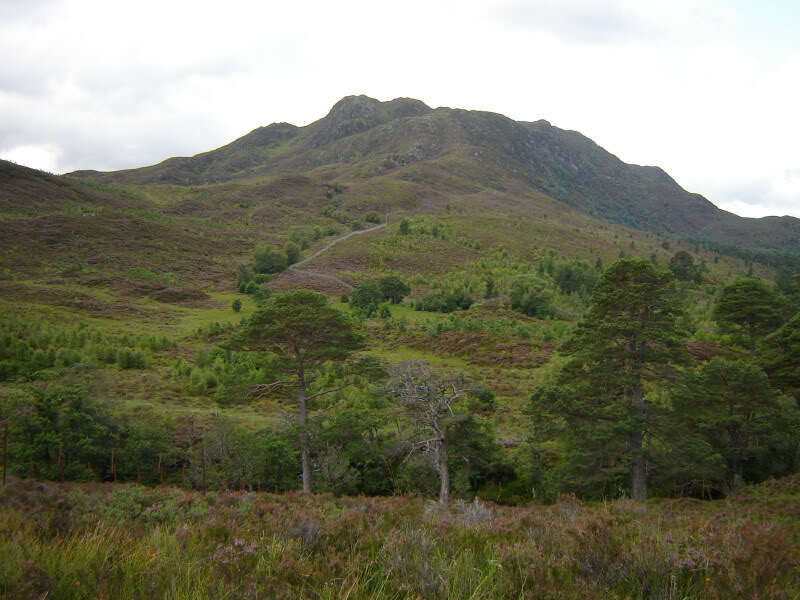 An Elric is very close to the Munro Sail Chaorainn. 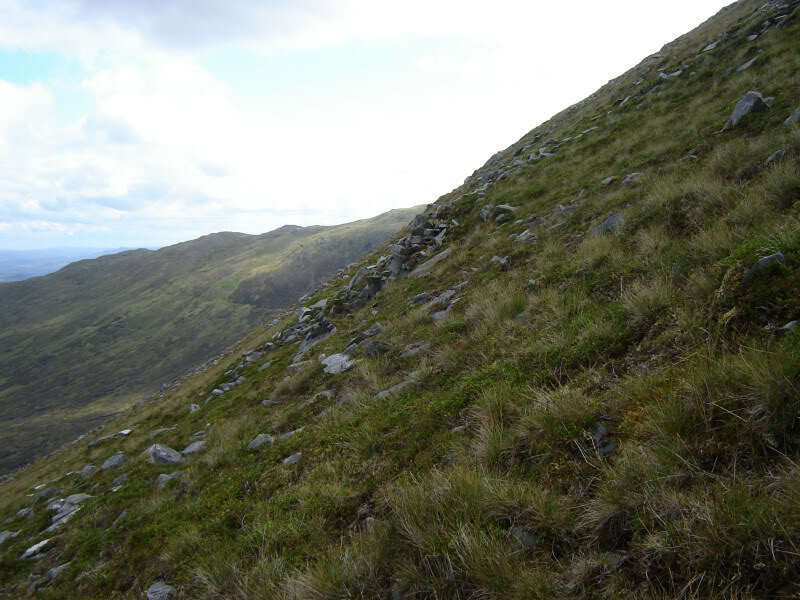 On descending Carn a’Choire Ghairbh ridge, I didn’t recognise one of the neighbouring hills. 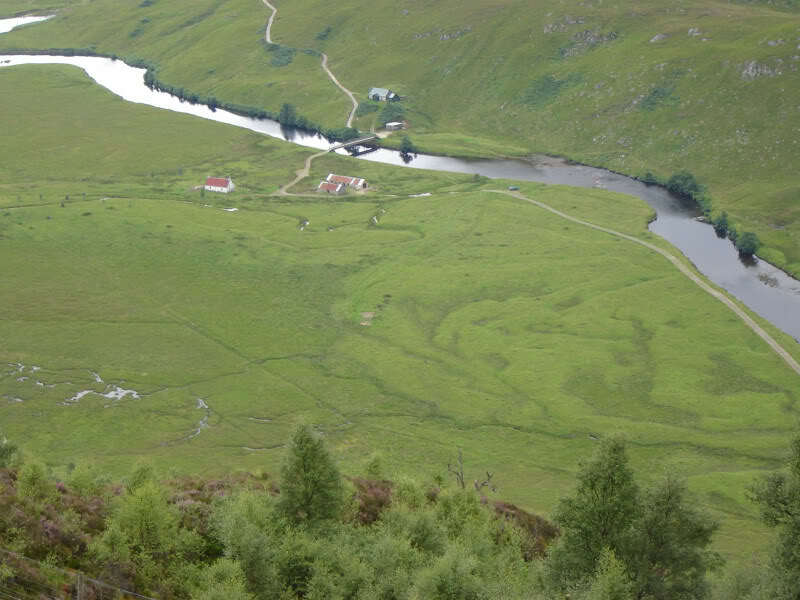 The hill was just off the end of the map, so I didn’t know what it was until I got back to the hostel. 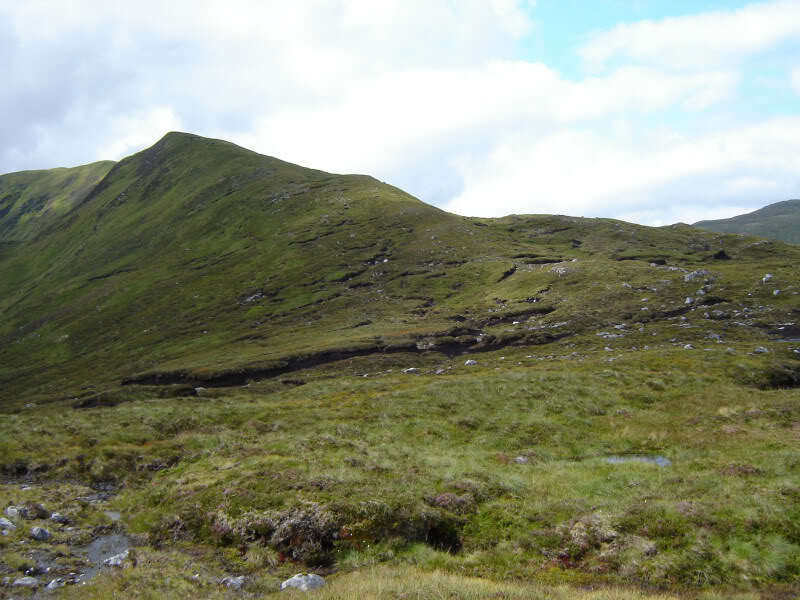 The unknown hill was A’Chioch (a top of A’Chralaig). 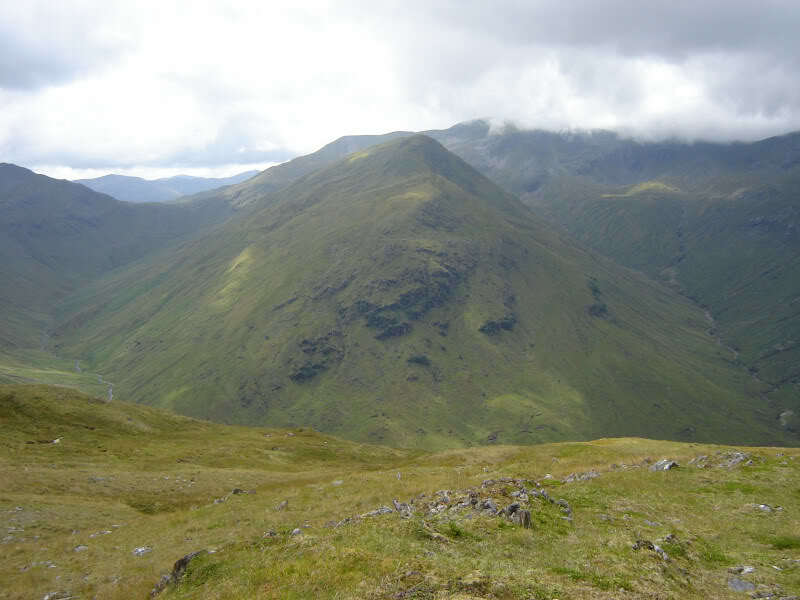 At the col between An Elric and Carn a’Choire Ghairbh, Aonach Shasuinn looks a long way off. 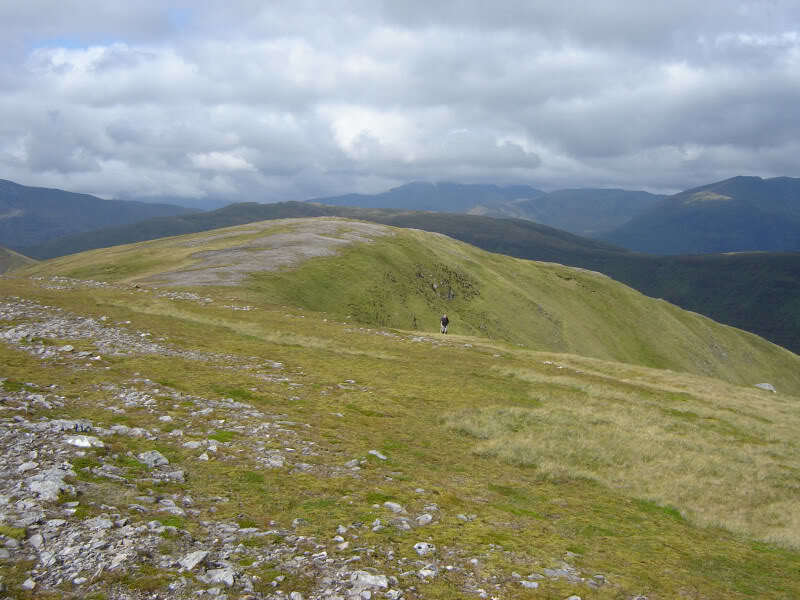 There is a lot of distance to cover between these Corbetts! 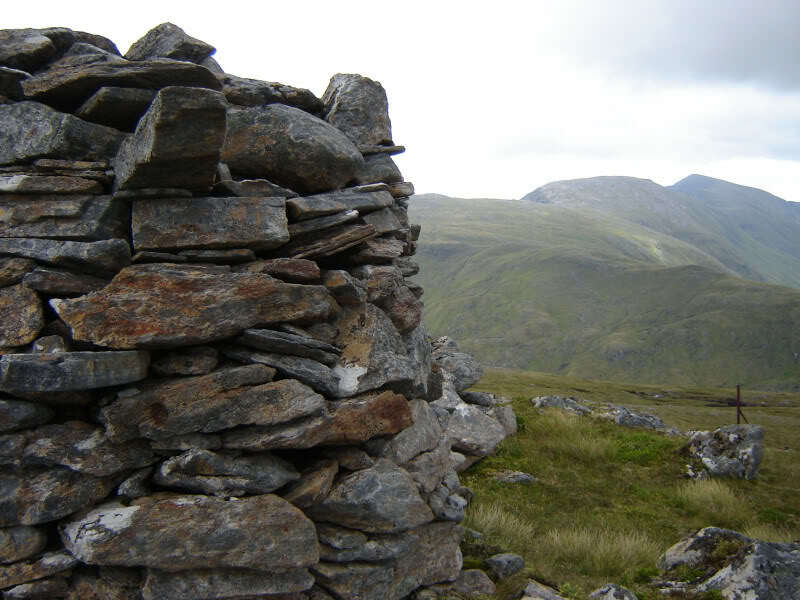 To ascend Carn a’Choire Ghairbh, I followed the line of rusty fence-posts as far as a very large cairn. 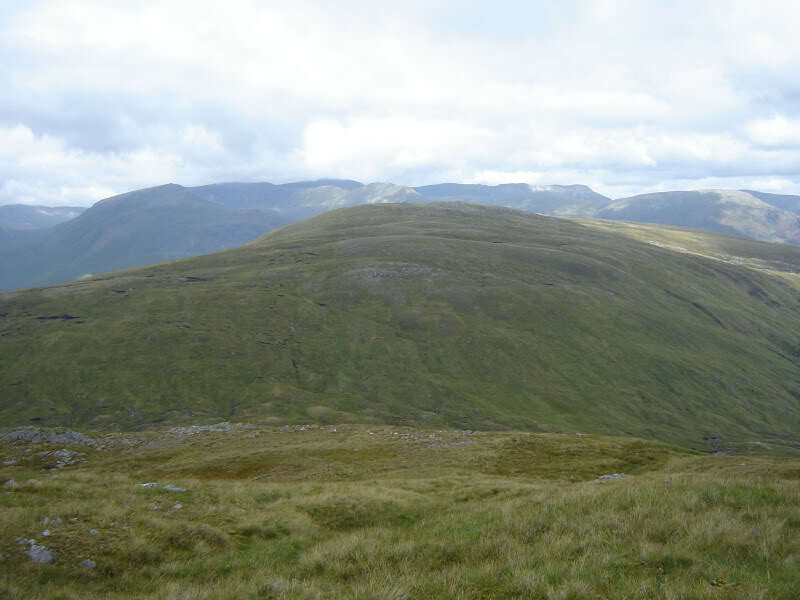 I then continued on a few hundred metres to the actual summit of Carn a’Choire Ghairbh. 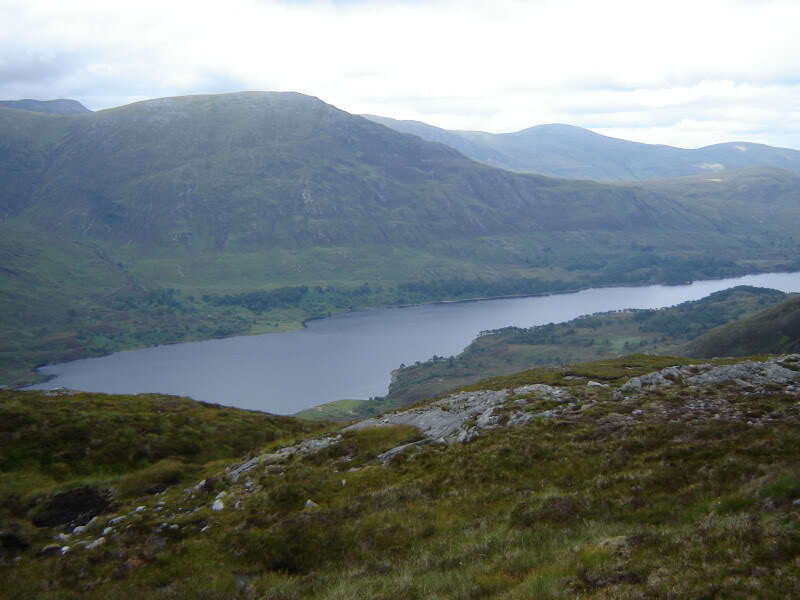 We opted to descend from Carn a’Choire Ghairbh towards the West-end of Loch Affric. 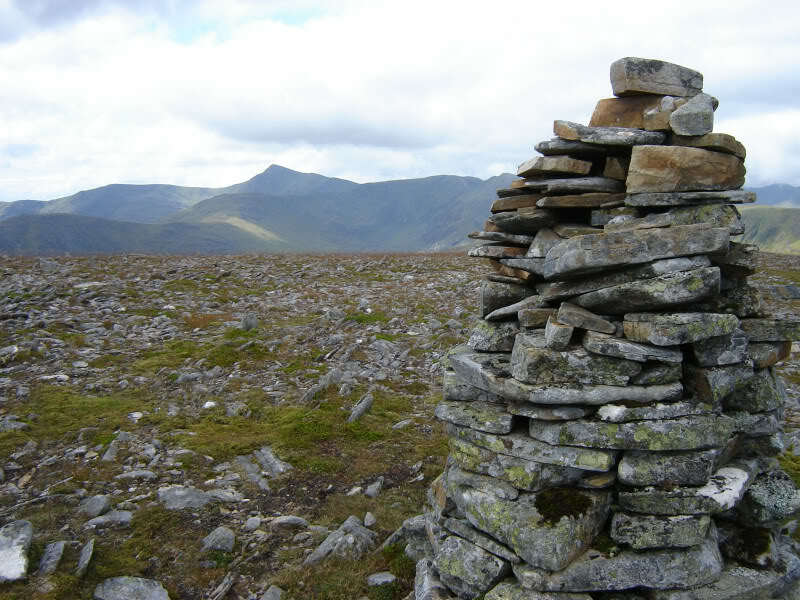 There are a couple of cairns at the start of the steep zig-zagging path leading down towards Loch Affric. 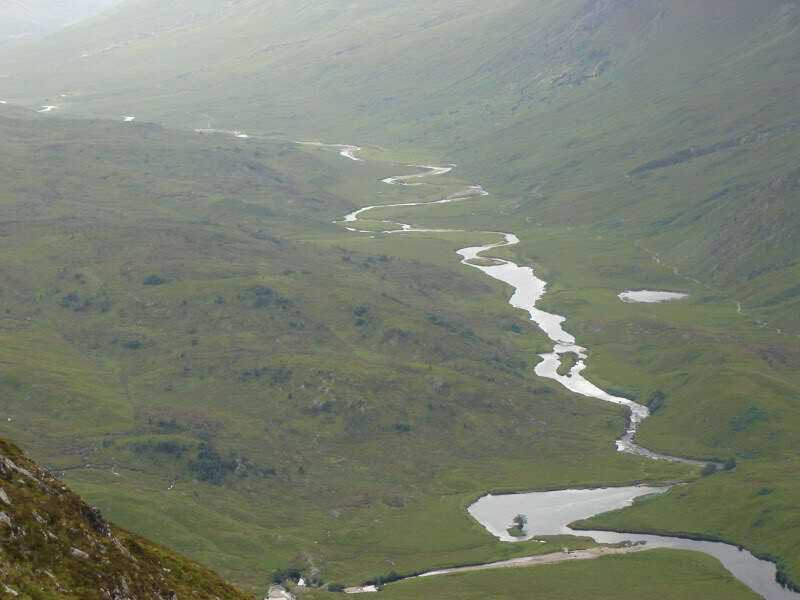 This path is a bit indistinct in places. 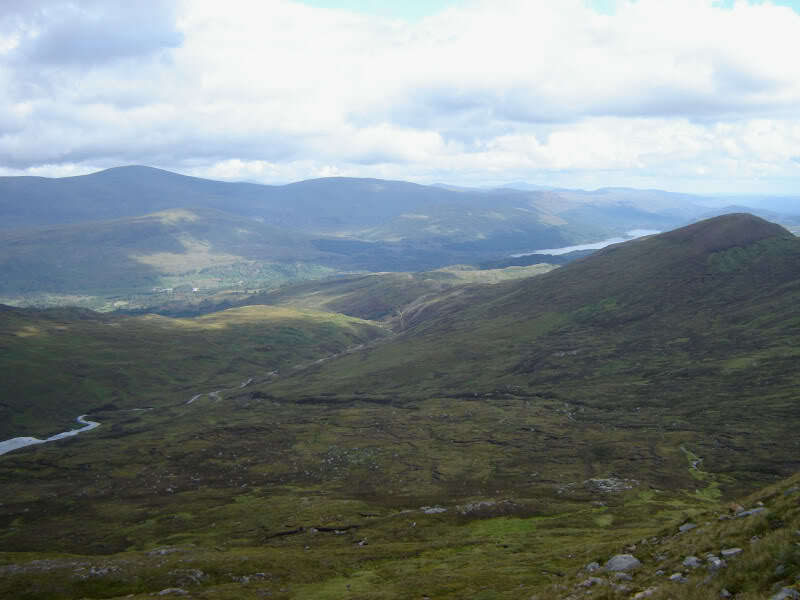 The descent is steep so it is worthwhile making sure you do not lose the path. 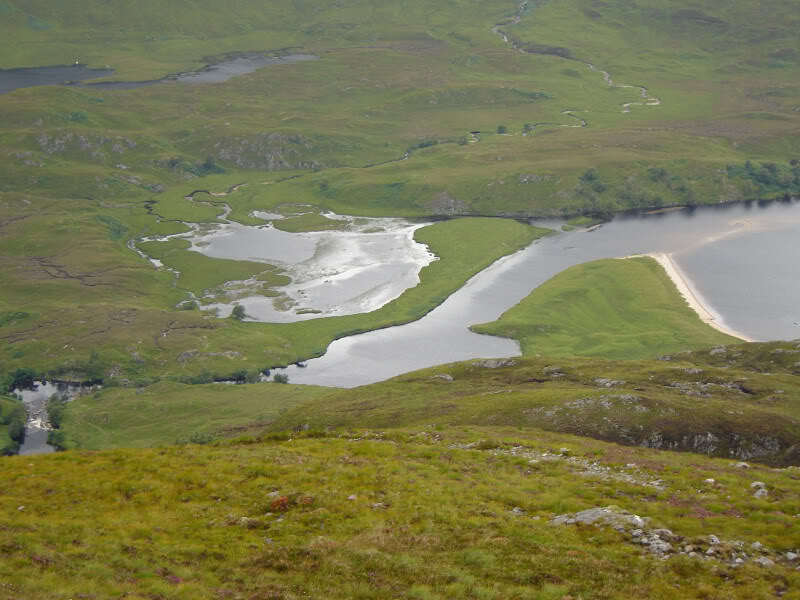 Was nice to reach the un-surfaced road at the West-end of Loch Affric. 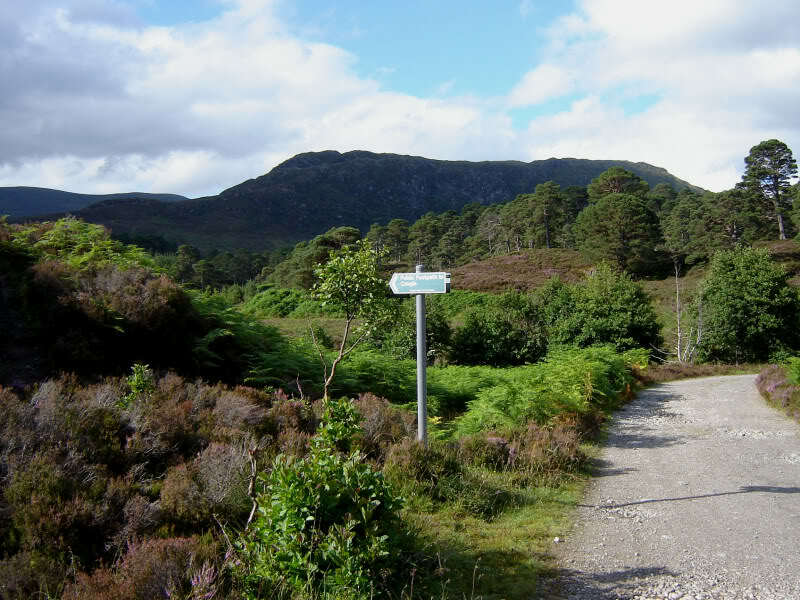 We followed this track along the length of Loch Affric back to the car. 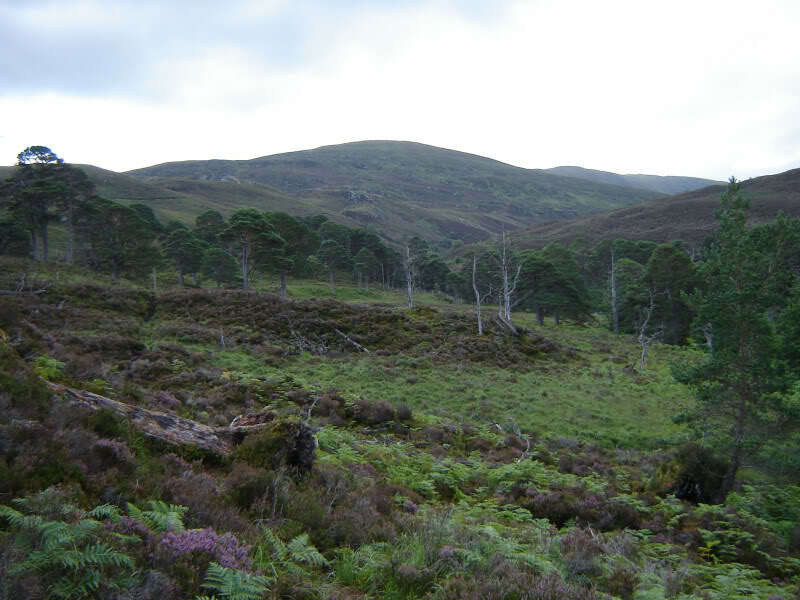 This was a really enjoyable walk, with great scenery. Quite a long walk though!